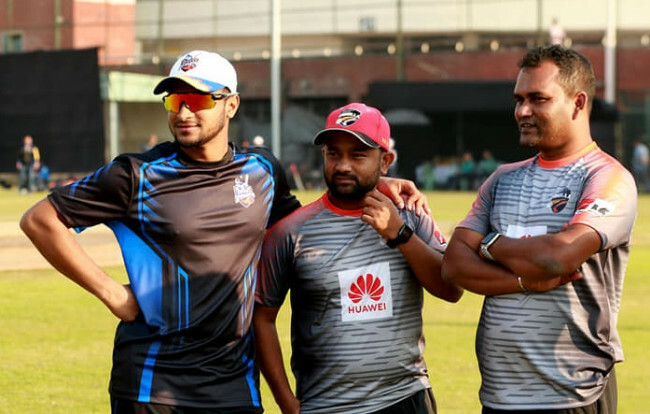 Saifuddin delivered his career best bowling while Nasir Hossain hit century to drive their respective side to drive to the victory in the first match of the Super League phase of Dhaka Premier League (DPL). Mohmmad Saifuddin claimed his List A career-best 5-9 as Abahani Limited made a high-flying start in the super league phase with a crushing 165-run victory over Prime Doleshwar Sporting Club at Sher-e-Bangla National Cricket Stadium on Monday. This was his first five-for in limited over cricket which was catalyst to skittle out Doleshwar for just 86 in 29.4 overs after Abahani racked up 251 before being all out in 49 overs. Saifuddin opened his account in just third ball of the Doleshwar’s innings, getting the better of Imranuzzaman for naught and from then on it was his solo show. Displaying an intriguing show of swing and cutters he claimed first five wickets of Doleshwar in his six-over spell at a stretch, leaving them at precarious 34-5. 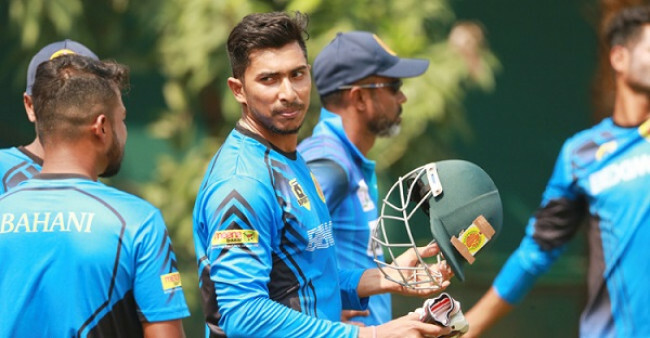 With the job almost done, Abahani didn’t call him up for bowling further as the other bowlers took care of the Doleshwar’s rest of the batting line up to hand them one of the worst defeat in the league. Sunzamul Islam took 2-23, while Nazmul Islam Apu (1-15), Soumya Sarkar (1-12) and Mehidy Hasan Miraj (1-7) complemented Saifuddin in demolishing Doleshwar. Put into bat first, Abahani also suffered a top order collapse that reduced them to 12-3. Abu Jayed Rahi and Farhad Reza were responsible for this as they came up with fire to leave Abahani in tatters. Wasim Jaffer made highest 71 and Nazmul Hossain Shanto scored 70 as the duo added 146 for the fourth wicket stand to help Abahani recover from the early jolt. Mohammad Mithun contributed 41 and Mashrafe Bin Mortaza hit a fluent 24 later then to take Abahani past 250-run mark. Jayed snapped up 3-47 while Reza returned figures of 2-41. Given Doleshwar’s strength it should be a competitive and tight game but Saifuddin made it just one-way traffic. 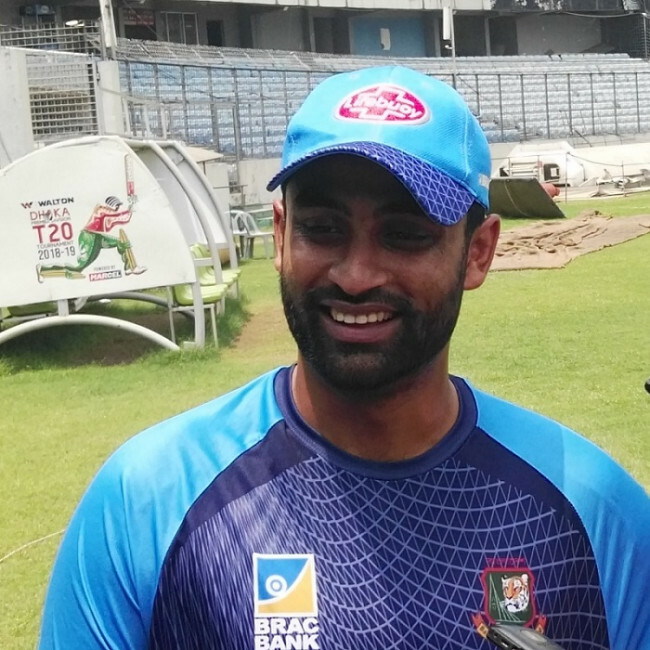 Nasir Hossain struck a superb century as Sheikh Jamal Dhanmondi Club scripted a facile six-wicket victory over Prime Bank Cricket Club at the Khan Shaheb Osman Ali Stadium at Fatullah today. A six-filled 51 ball-74 from Ariful Haque helped Prime Bank to post 236 before being all out in 48.3 overs but his effort was ruined by Nasir Hossain’s 110 ball-112 not out as Sheikh Jamal overhauled the target by making 239-4 in 48.4 overs. Opener Elias Sunny was the other notable scorer for Jamal with 67. He and Nasir added 93-run for the third wicket stand to make the chase a cake-walk after initial trouble. Sunny though couldn’t prolong his innings, Nasir hung in there to sail the side home. He struck a dozen of boundaries and three sixes in his knock, which was his seventh List A century. Nahidul Islam and Abdur Razzak took two wickets for Prime Bank. After losing Anamul Haque Bijoy in the first ball of the innings, Prime Bank recovered through Rubel Mea and Nama Ojha who shared 120 runs for the second wicket stand. Rubel Mea scored 66 and Ojha made 46 but their departure in the space of five runs triggered a sensational collapse that saw them losing four wickets for just 10 runs. Ariful then settled the things, hitting a six-filled knock that helped the side propel past 200—mark which looked unlikely halfway through the innings. 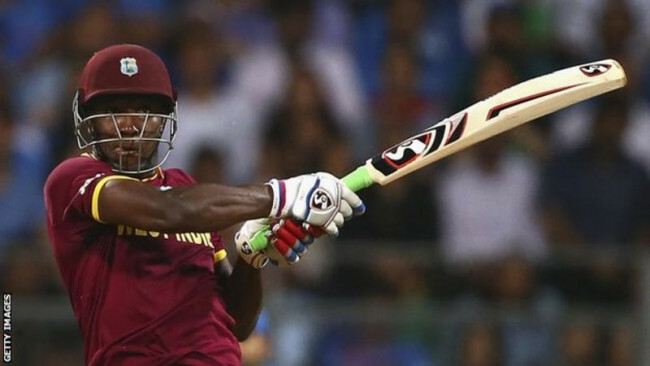 Ariful’s 51 ball-74 was studded by three fours and seven sixes but it was not enough to save the side from a defeat. Elias Sunny and Tanbir Hyder claimed three wickets apiece for Sheikh Jamal.